Philadelphia has contributed so much to our country for which we'll be forever grateful, from the Declaration of Independence to America's first zoo, history and culture are abundant across Philly. 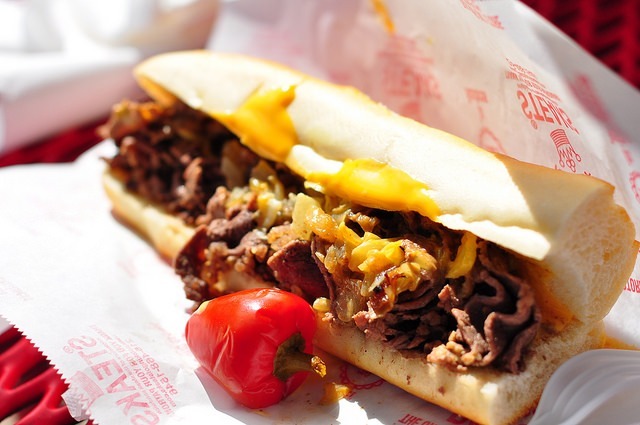 One of the first things that comes to mind about Philadelphia (aside from a certain Fresh Prince) are those irresistible Philly cheesesteaks, an invention so revolutionary that the Earl of Sandwich would wish he'd thought of it first. The Philly Cheesesteak's humble beginning is thanks to two brothers, a hotdog stand, and a wise cab driver. 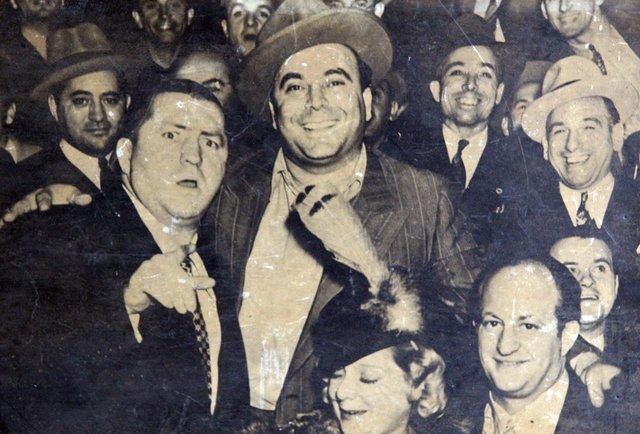 The year was 1930 and brothers Pat and Harry Olivieri were selling hot dogs when they decided to make a sandwich using chopped beef and grilled onions. As fate would have it, a hungry cabby showed up and requested what they were having. The cabby gave them some world-changing advice - to skip the hotdogs and focus on selling meat sandwiches, before he drove off into the Philadelphia sunset (ok, we don't actually know if it happened at sunset, but we like to pretend). Pat Olivieri with two of the Three Stooges! The cheesesteak reached such heights of popularity that the brothers moved into a brick and mortar location named Pat's King of Steaks. They didn't originally include cheese in the sandwich. That honor goes to a manager named Joe "Cocky Joe" Lorenza (with an idea like that, can we blame him for being cocky...?). 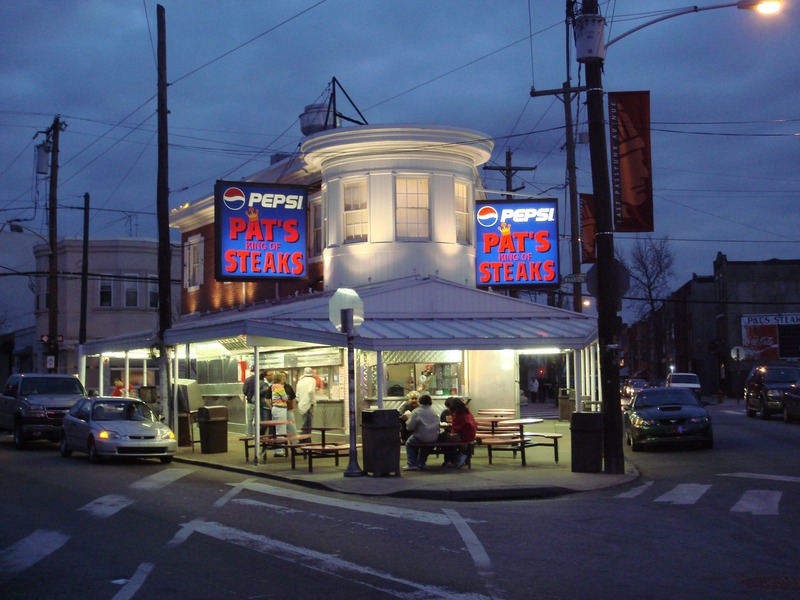 Pat's continues to attract tourists in Philadelphia, especially after it was featured in the 1976 film Rocky. On the other hand, local Philadelphians often have insider knowledge as to where you can get cheesesteaks with softer bread, or twice the meat, or the crunchiest onions. Though you're likely to get a different response from each local, they can give you the run down on where to go. For example - Alex Delaney at Ban Appetít went where few men have gone before - he ate at 16 cheesesteak spots in 12 hours. After much deliberation and queasiness, he concluded that Tony Luke's serves the best cheesesteaks. Tony Luke's is a chain with multiple locations. Another beloved franchise is Jim's Steaks, which originated in West Philly, 1939. 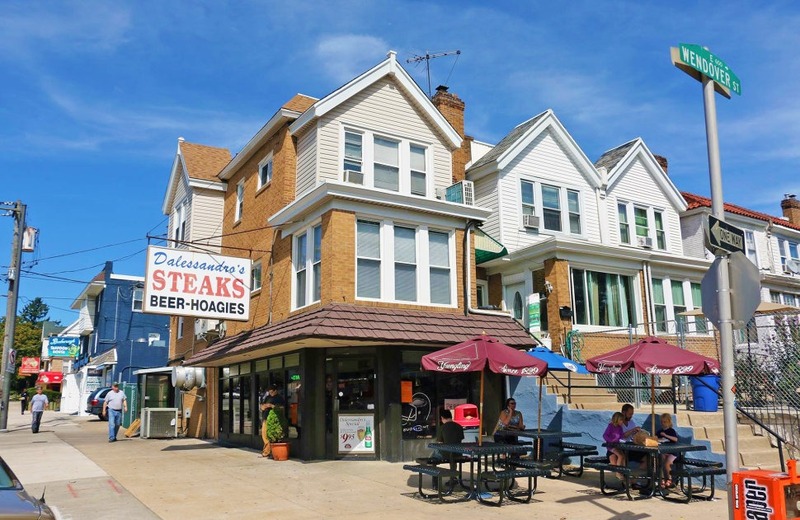 More notable favorites include Dalessandro's Steaks and Hoagies and the often overlooked Sonny's Famous Steaks. Whichever cheesesteak you prefer, there will always be one waiting for you when you visit the glorious city of Philadelphia.